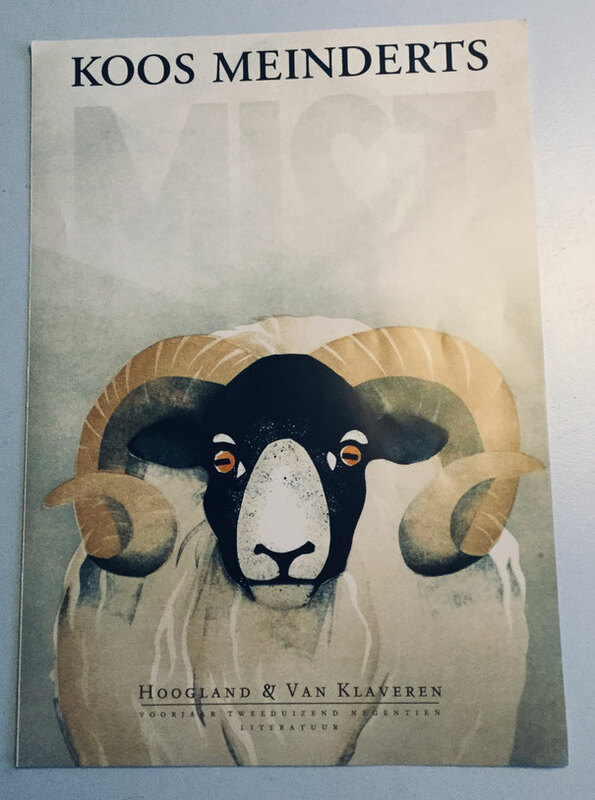 In the spring catalogue of Hoogland & van Klaveren publishers one can already see the cover for Koos Meinderts' new novel Mist. I made a template print of a sheep's head for it. The story is about a boy who feels he has to leave the island of his youth. The book will be out (in Dutch) in May.